Temperature and relative humidity probe for Tinytag Radio and LAN data loggers. The probe monitors from -20 to +85°C / 0 to 100% RH. It is supplied with the logger, so separate ordering is only required for spare or replacement probes. This temperature and relative humidity probe monitors from -25°C to +85°C and 0 to 100% RH. The probe has a coated RH sensor which offers good resistance to moisture and condensation, and works withTR-3505, TGRF-4500, TGRF-4502, TE-4500 and TE-4502 data loggers. 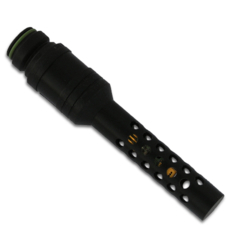 The probe is supplied with the logger, so separate ordering is only required for spare or replacement probes. The probe is connected to the data logger using the 1.5m cable (CAB-0034).